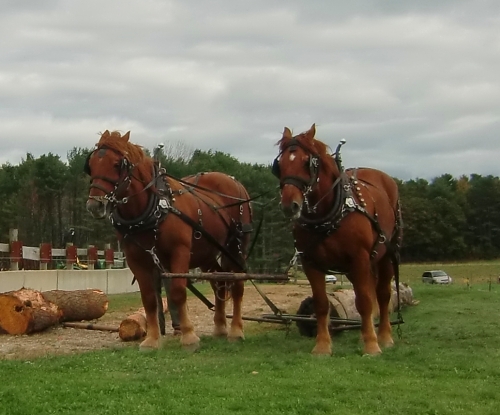 I was reluctant to attend the Fall Festival at Wolfe’s Neck Farm during my recent trip to Freeport, Maine. I was not in the mood for a crowded, noisy production heavy on bouncy houses, cotton candy, stuffed prizes, and other manufactured fun. But this was not like other fall festivals. This festival was a step back in time, when things were simpler, yet no less joyful. A middle-aged man led a bluegrass band made up of kids of various ages. A group of ladies in colorful sweaters peddled homemade baked goods from behind a long table. A boy offered up a handful of grass to one half of a pair of sturdy work horses. The horse munched it eagerly, tickling the boy into a burst of giggles. 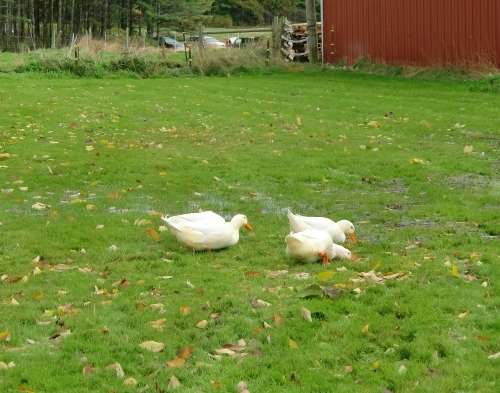 White ducks waddled across the soggy grass, taking sips of water. Children peered at bunnies in their hutch. I gobbled at the turkeys, who gobbled back, staring at me confused. 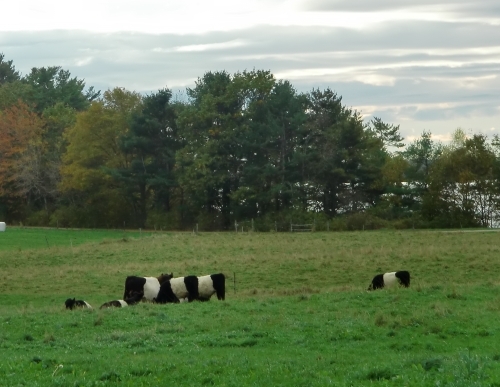 White and black cows named Belted Galloways for the “belt” striped across their middles, stood silently in the distance, chewing grass. 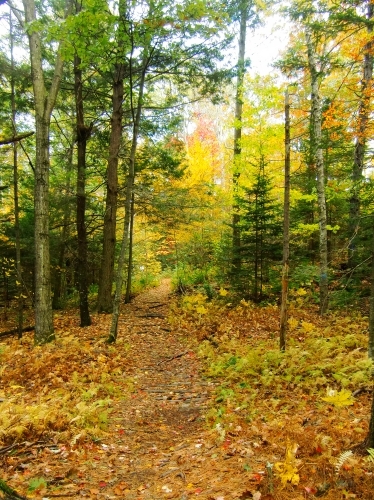 My friend, Erin, and I took a walk on one of the nature trails that surrounded the farm. The fall trees shouted out in hues of orange, crimson, gold, green. I spotted a trickle of a stream and imagined it rushing in spring after the snows of winter had melted. 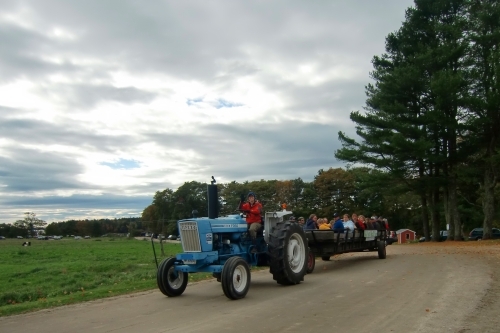 Families clamored aboard the hay ride for a visit to the pumpkin patch. Then, back at the farm kids decorated their freshly plucked prizes with pipe cleaners, googley eyes, and foam stickers. There were no carnival games. No miniature train. No vendors selling over-priced and unneeded toys. It’s not that I don’t like rides, games, and toys. I do. But sometimes it feels like there is too much commotion in the world around us and in our minds. I stood listening to the bittersweet sounds of bluegrass in the background and breathed in the chill of the crisp autumn air. Papery leaves tumbled across the green of the grass. 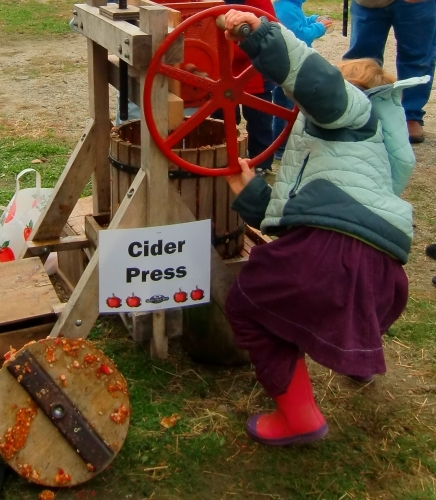 Kids were chasing chickens, spinning the cider press, climbing on a couple of John Deere tractors. My eyes filled with tears. It was all just so beautiful. It felt like everything I want in my life. In my children’s lives. Room to truly enjoy the beauty that is all around us…if only we paused long enough to see it. 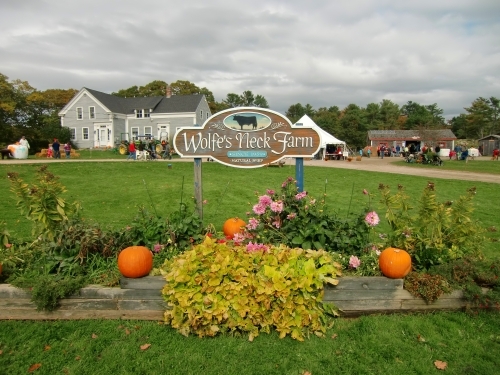 Wolfe’s Neck Farm is open year-round and is free to visitors. 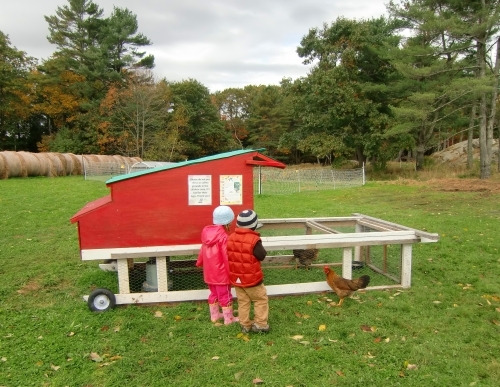 This historic 626-acre farm on the Maine coast is dedicated to sustainable agriculture, environmental education, and community well-being through the enjoyment of the natural landscape. Where have you found beauty while traveling? Please let us know in the comments! A note from The Travel Mama: Thank you to The Hilton Garden Inn Freeport for my wonderful weekend getaway to Maine. We call those Belted G cows “Oreo cows.” 🙂 Looks like a fun spot! Lisa – I love that! The cows totally do look like Oreos! I’m SO over the carnival-like atmosphere of today’s more urban nature festivals. This place sounds like a wonderful spot to celebrate fall. Thanks for sharing! What a wonderful post! Ever since we were little girls, my sister & I have talked about moving to Maine and having “country houses”. You describe Maine exactly as I’ve envisioned it all these years, and I’ll probably cry, too, when I finally get to see it myself. Well said. : ) Beautiful photos! Wolfe’s Neck is one of our favorite beautiful spots in this beautiful country. The farm has changed and stayed the same in the years since we have visited. This lovely description captured all that is wonderful about this places and others like it. And, it brings the most satisfying of memories back in focus. Thank you very much.